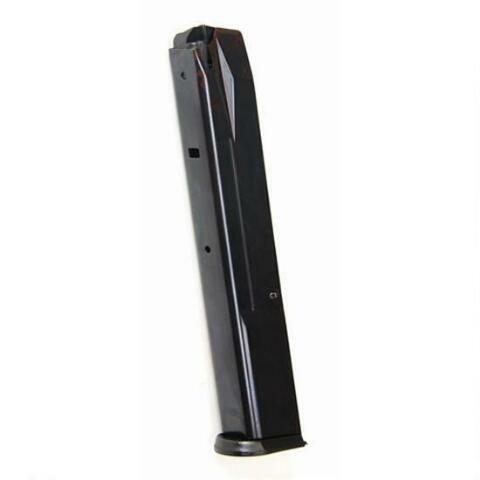 ProMag Ruger P94 .40S&W (20)Rd Blue Steel Magazine. 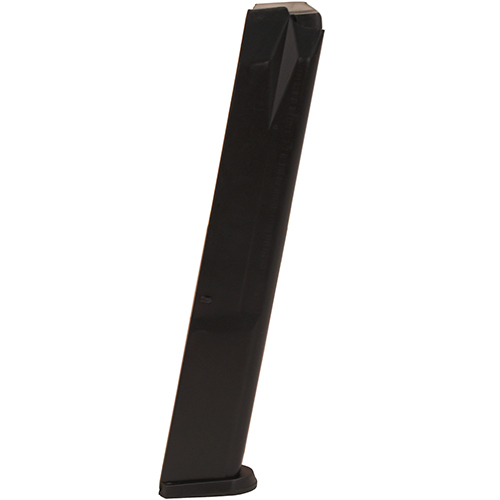 An extended 20-rd magazine for the Ruger P94 pistol in .40S&W. Constructed from heat-treated blued- steel, with a follower, lock-plate, and base-plate molded from a proprietary Zytel based black polymer and using a spring wound from Chrome-silicon wire and heat-treated for strength and reliability.